WellCAD 5.2 adds the NMR and NMRSA modules for processing nuclear magnetic resonance T2 data, a new Color Classification algorithm for the Image & Structure Interpretation module, the new Casing Integrity module, and many new features to the Basic module including enhancements to the engineering log, automatic depth matching, new tadpole styles, native PDF, and auto save of WellCAD documents. The new NMR module derives porosity, fluid volumes, and permeability from nuclear magnetic resonance T2 distribution data in a dedicated workspace to examine T2 data and interactively adjust cutoff times with real-time display update. The workspace and calculations are independent of tool manufacturer. The NMR SA tool processing module is an upgrade to the NMR module that supports post-processing of raw data coming from the SBTs and LGTs developed by NMR services Australia. 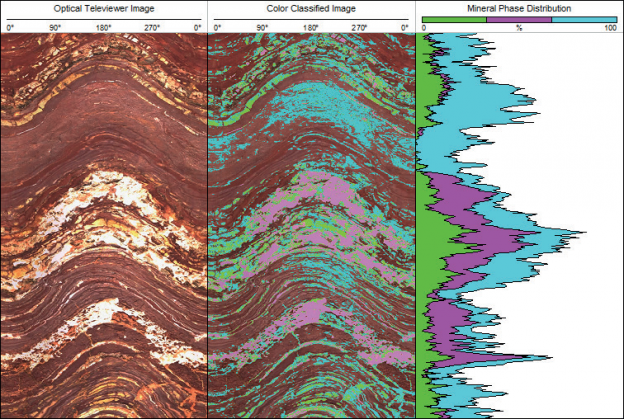 Use the Color Classification feature to classify different different minerals and rock types based on the colors displayed in RGB (red-green-blue) logs in WellCAD. Generate a color-coded RGB log and an analysis log with the volume fractions of each class. Apply the Color Classification algorithm to optical televiewer images, core scans, and photographs of cores. 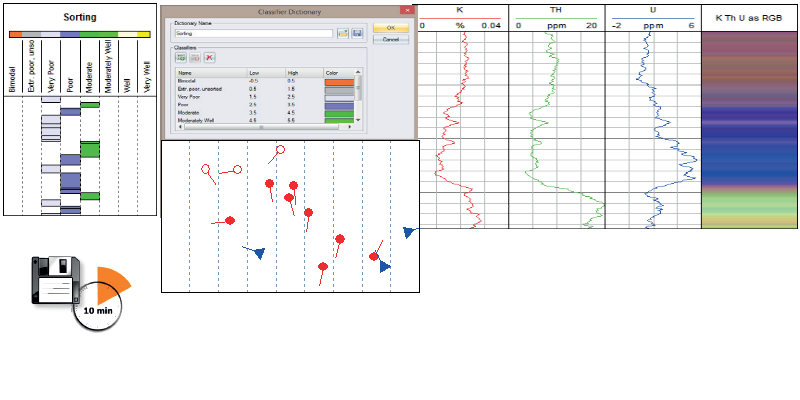 Process cased hole data from multicaliper tools and borehole televiewers. Edit raw log data with both linear and non-linear depth matching, log splicing and merging. Apply corrections for shift, dead sensors, despiking, and centralization. Convert travel times to radius, diameter, thickness and estimation of fluid velocities. 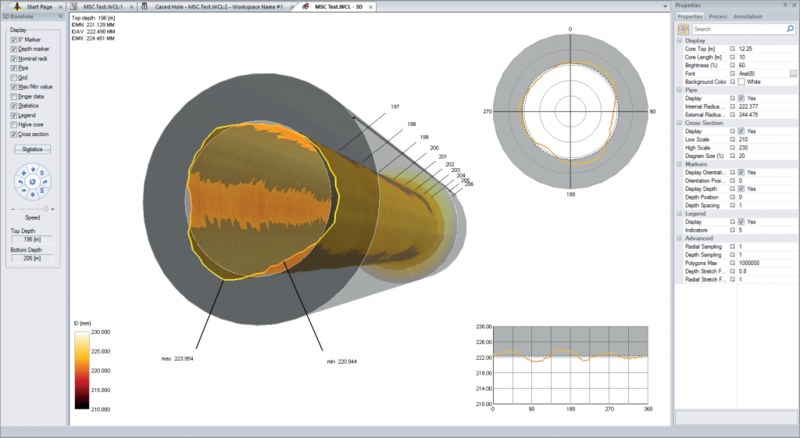 Automatically detect pipe joints and produce pipe joint analysis tables. 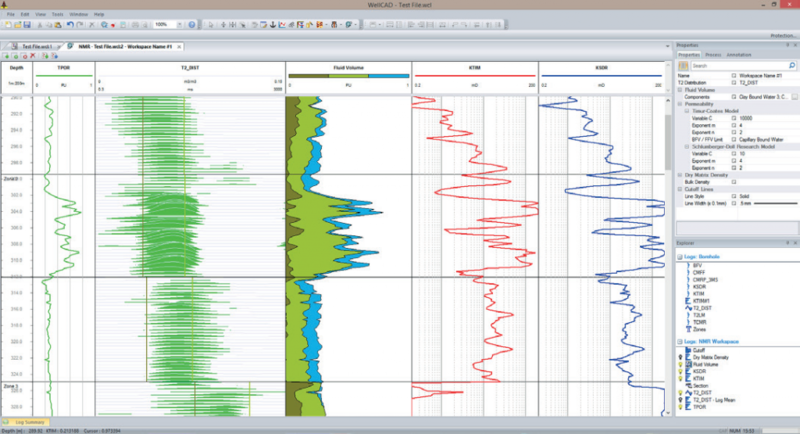 Display 2D cross-section, vertical profile, and 3D well diagrams. Export data to binary, ASCII, and graphic file formats including WCL, LIS, DLIS, LAS, CSV, XLS, XLSX, JPG, PNG, and TIF. 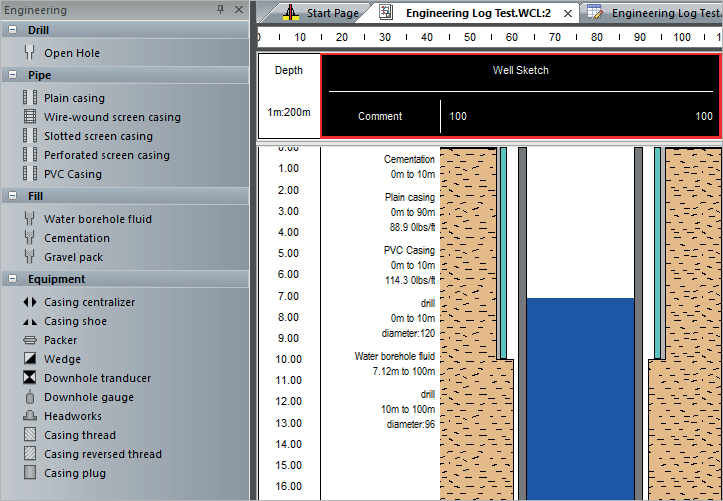 Create Well Construction diagrams using the new enhancements to the Engineering Log in the Basic module. Drag-and-drop well construction elements from the new toolbar, choose casing type from the catalog of API casing and tubing sizes, and customize casing and fluid types in the included editor. 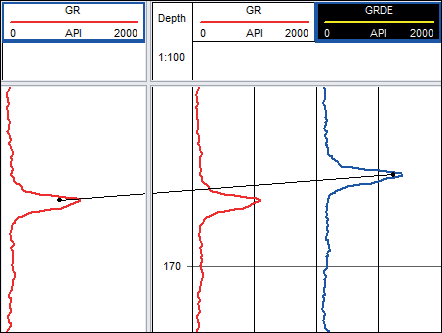 Correct the differences in depths between different well logs with the automated depth matching tool. Specify depth anchor points automatically and shift the desired logs. Restrict the scanned interval for depth matching to particular depths. Convert log data in different units with the Unit Converter. Specify different colors for different classifications of data, e.g. grain size, sorting, porosity types. Choose from new tadpole styles with different fill and line colors for circles and arrows. Represent 3 components of data in an RBG log. Show K, U, and Th as red, green, and blue color blending. 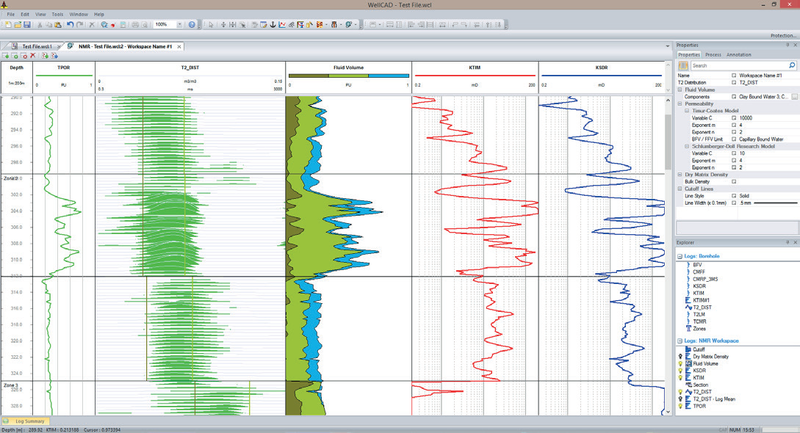 Display multiple WellCAD documents on a single plot. Create PDF files natively from within WellCAD. Automatically save your work at the interval you specify. This entry was posted on October 10, 2017 by Tom Bresnahan.